Some months back, Delhi was frequented by Dust storms from Rajasthan side. The dust storms were usually followed by heavy rains for a while. During this period, many cars were affected in Delhi due to different reasons including many accidents. So, for safety during such storms, we give you tips for protecting your car during a dust storm. With dust storms, increasing heat levels and following heavy rains, it takes a toll on your beloved car. Usually, after 12 PM you might feel the temperature increase over 40 degrees easily. Well, this is one of the indicators for a dust storm. The Monsoon also came and left us wondering, will it come back again. 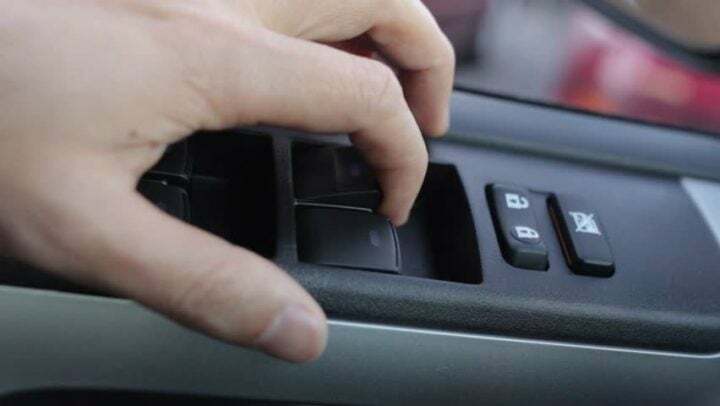 The problems that your car faces during dust storm includes paint getting damaged, or the Air Cooling is affected or due to the scorching heat waves, the engine gets too hot. While it decreases the visibility and also causes accidents, people have to take care while driving too. 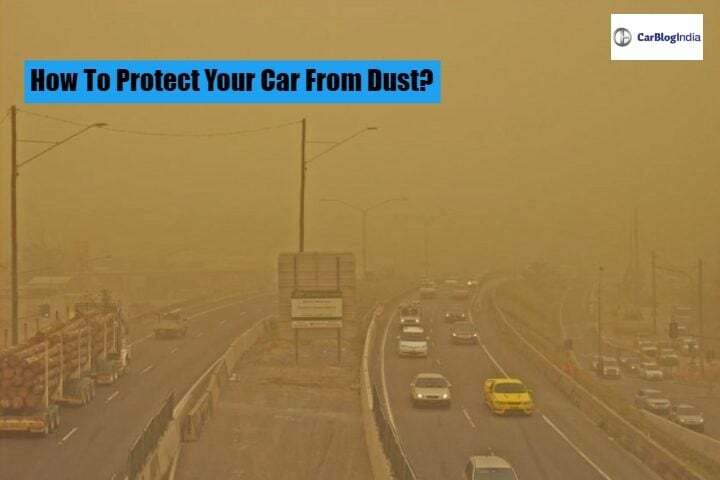 So, check out these ‘Do-It-Yourself’ or DIY tips on how to protect your car from a dust storm. 1) While driving through dust storms, reduce your speed as your visibility might be affected. Also, use headlights for proper direction of the road. If your car has fog lamps, then it is advisable to use fog lamps too. 2) While driving, do not open the windows of the car. 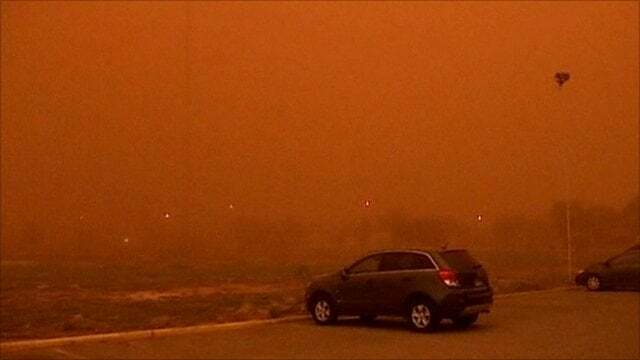 These dust storms are very harmful to your health, so keep the windows shut. You can preferably use Air Conditioner in the car at low-speed levels. 3) While driving through a dust storm, always keep the hazard warning lights as it alerts the driver behind your car. 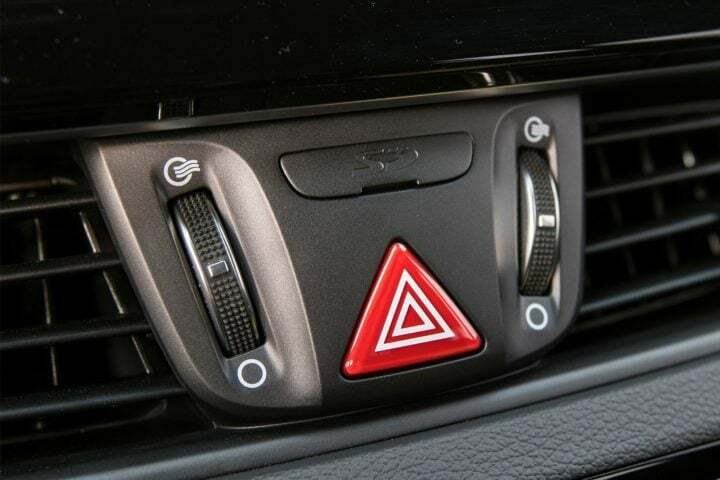 The driver behind your car gets easily alert, preventing a possible chance of an accident. 4) If the dust storm gets heavier, then it is advisable to stop your car and park beside the road. You should park the car in the last lane or if a service lane is available with hazard warning lights switched on. Also Read: How to Get No Claim Bonus(NCB) Discount Even After a Claim for your Car? 5) A dust storm is usually followed by heavy thunderstorms and rains. So, avoid braking heavily due to reduced traction during unusual rains. Also, keep your speed slow during the thunderstorms and rains. 6) Avoid parking your cars under trees, traffic lights and street lights. The recent dust storms recorded a speed of 60 Km/hr. 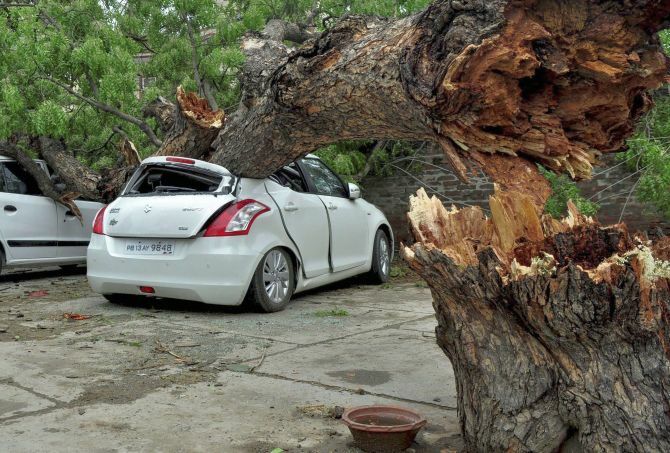 Such speeds can uproot the trees and street light poles, resulting in heavy damages to your car. Also Read: What to Do When Driving Thru a Flooded Road? What If You Get Stuck? 7) In places like Rajasthan, the scorching heat levels make way to a heavy dust storm. 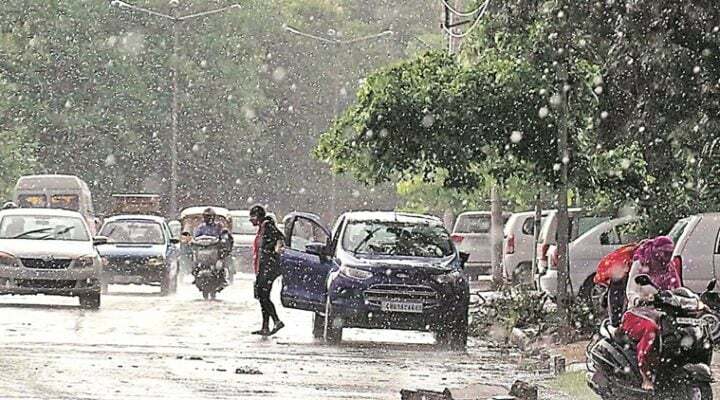 In such cases, people living in Rajasthan and especially the desert areas, should carry a bottle of water and some coolant. 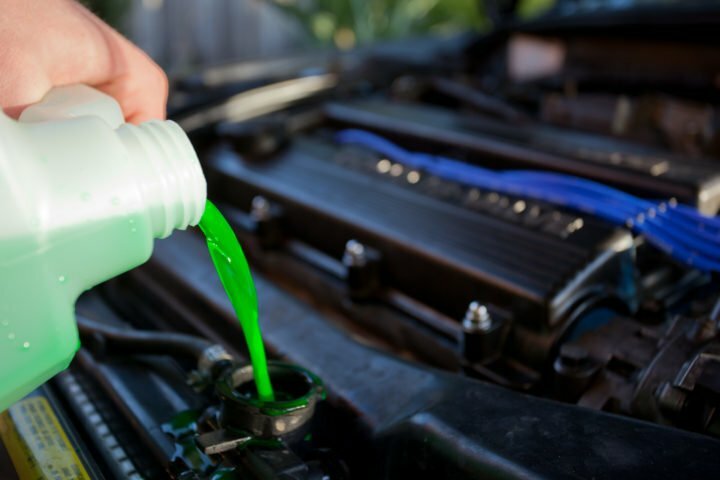 Sometimes, as the engine heats up during the high heat levels, a bottle of water and some coolant for the engine is always handy. 8) After a dust storm, wash your car frequently. The dust from such storms, usually stick to the paint and continuously start eroding the paint. Sometimes, heavy dust paves in spite of having anti-rusting. 9) In places near a desert or where the dust storms are frequent, it is advisable to apply protective films on the glass, headlights and the paint. Such films are quite a dust and sand repellant and work effectively during a dust storm. 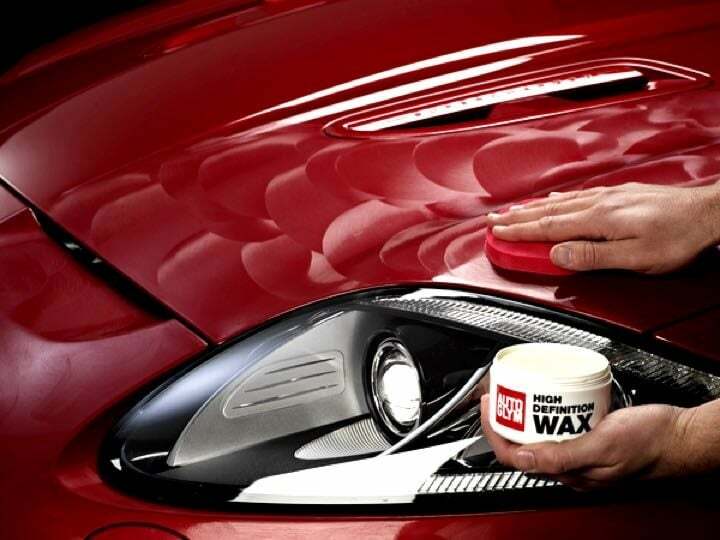 Also, you can wax the headlamps, paints and glasses to shield the car from dust. However, these methods are a little costly and are highly advisable in Rajasthan and Gujarat, where dust storms are frequent. 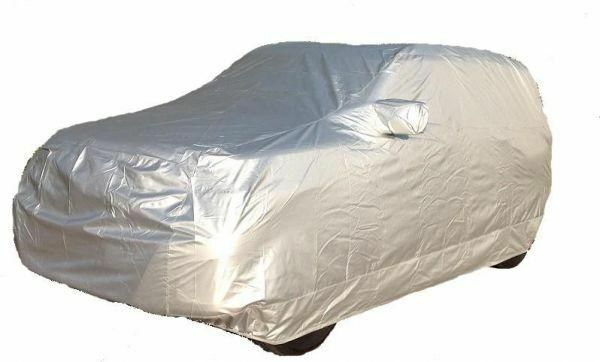 10) You can also take high-quality car covers and tie them tightly. This measure also costs you, as high-quality car covers are advisable. However, sometimes, the continuous flapping of the car covers on the body makes some scratches. So, here are the tips and guides for protecting your car from a dust storm. Kindly follow the tips to ensure better protection for your car. Keep safe! Keep following Car Blog India for more such articles on how to keep proper care of your cars.